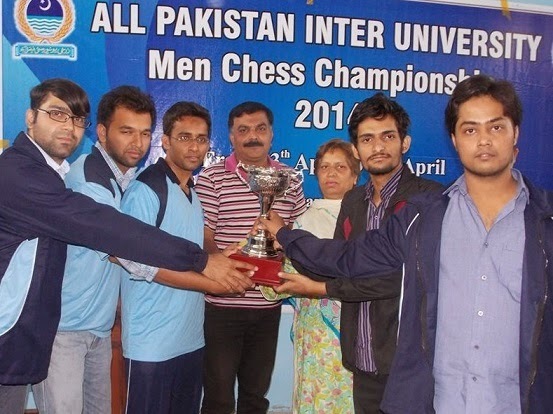 Some chess news from South Asia: FIDE reports on the Pakistan University chess: The Pakistan Chess Federation in collaboration with the country's Higher Education Commission organised the All-Pakistan Inter Universities Chess Championships from 13th April to 17th April in Faisalabad, the country's third biggest city. A record number of 24 universities took part with three members each and a reserve players. Top-seed Karachi University beat their arch rival Punjab University in the final to win the title for the second year in a row. Although the latter had better ranked players in its team. The University of Veterinary Sciences squeezed into third place. US Chess #1 Hikaru Nakamura sponsored by RedBull!